1. Diplock AT, Agget PJ, Ashwell M, et al. Scientific concepts of functional foods in Europe. Consensus document. Br J Nutr. 1999;81 Suppl 1:S1–27. doi: 10.1017/s0007114599000471. 2. Roberfroid MB. What is beneficial for health? The concept of functional food. Food Chem Toxicol. 1999;37(9–10):1039–1041. doi: 10.1016/s0278-6915(99)00080-0. 3. Shiby VK, Mishra HN. Fermented milks and milk products as functional foods — a review. Crit Rev Food Sci Nutr. 2013;53(5): 482–496. doi: 10.1080/10408398.2010.547398. 4. Lavoie K, Touchette M, St-Gelais D, Labrie S. Characterization of the fungal microflora in raw milk and specialty cheeses of the province of Quebec. Dairy Sci Technol. 2012;92(5):455–468. doi: 10.1007/s13594-011-0051-4. 5. Hugenholtz J, Hunik J, Santos H, Smid E. Nutraceutical production by propionibacteria. Le Lait. 2002;82(1):103–112. doi: 10.1051/lait:2001009. 6. Lin MY, Young CM. Folate levels in cultures of lactic acid bacteria. Int Dairy J. 2000;10(5–6):409–413. doi: 10.1016/s0958-6946(00)00056-x. 7. Chinnadurai K, Kanwal HK, Tyagi AK, et al. High conjugated linoleic acid enriched ghee (clarified butter) increases the antioxidant and antiatherogenic potency in female Wistar rats. Lipids Health Dis. 2013;12:121. doi: 10.1186/1476-511X-12-121. 8. Abd El-Salam MH, El-Shafei K, Sharaf OM, et al. Screening of some potentially probiotic lactic acid bacteria for their ability to synthesis conjugated linoleic acid. Int J Dairy Technol. 2010;63(1): 62–69. doi: 10.1111/j.1471-0307.2009.00541.x. 9. Parvez S, Malik KA, Ah Kang S, Kim HY. Probiotics and their fermented food products are beneficial for health. J Appl Microbiol. 2006;100(6):1171–1185. doi: 10.1111/j.1365-2672.2006.02963.x. 10. Технический регламент Таможенного союза (ТР ТС 033/2013): «О безопасности молока и молочной продукции» (с изменениями на 20 декабря 2017 года; редакция, действующая с 15 июля 2018 года) [электронный фонд]. http://docs.cntd.ru/document/499050562. 11. Сафронова А.И. Клинико-физиологическое обоснование оптимальных подходов к использованию молочных продуктов в питании детей раннего возраста: Автореф. дис. … канд. мед. наук. — М., 2006. https://search.rsl.ru/ru/record/01000293961. 12. Кильдиярова Р.Р. Диетологическая профилактика заболеваний и функциональных расстройств пищеварения у детей Дома ребенка г. Ижевска // Вопросы практической педиатрии. — 2015. — Т. 10. — № 5. — С. 29–35. 13. Мечников И.И. Этюды оптимизма. Гл. 5. [электронный ресурс]. — Array Литагент «Фолио», 2011. https://libking.ru/books/sci_biology/626839-ilya-mechnikov-etyudy-optimizma.html. 14. US Patent 1882638 A. 11 October, 1932. Johnson Lambert D. Powdered acid milk and process of preparing same. Available from: https://ip.com/pat/US1882638. 15. US Patent 5972393. Ernst Beutler, Leuka Favre-Galliand, Johann Illi, Andreas Sutter. Preparation of dehydration acidified milk product. 26 October, 1999. Available from: https://ip.com/pat/US5972393. 16. Boneti C, Habib CM, Keller JE, et al. Probiotic acidified formula in an animal model reduces pulmonary and gastric bacterial load. J Pediatr Surg. 2009;44(3):530–533. doi: 10.1016/j.jpedsurg.2008.06.004. 17. Saavedra JM, Bauman NA, Oung I, et al. Feeding of Bifidobacterium bifidum and Streptococcus thermophilus to infants in a hospital for prevention of diarrhoea and shedding of rotavirus. Lancet. 1994;344(8929):1046–1049. doi: 10.1016/s0140-6736(94)91708-6. 18. Correa NB, Peret Filho LA, Penna FJ, et al. A randomized formula controlled trial of Bifidobacterium lactis and Streptococcus thermophilus for prevention of antibiotic-associated diarrhea in infants. J Clin Gastroenterol. 2005;39(5):385–389. doi: 10.1097/01.mcg.0000159217.47419.5b. 19. D’Souza AL, Rajkumar C, Cooke J, Bulpitt CJ. Probiotics in prevention of antibiotic associated diarrhoea: meta-analysis. BMJ. 2002;324(7350):1361. 20. Johansson M, Sjogren Y, Persson J, et al. Early colonization with a group of Lactobacilli decreases the risk for allergy at five years of age despite allergic heredity. PLoS One. 2011;6(8):e23031. doi: 10.1371/journal.pone.0023031. 21. Bisgaard H, Li N, Bonnelykke K, et al. Reduced diversity of the intestinal microbiota during infancy is associated with increased risk of allergic disease at school age. J Allergy Clin Immunol. 2011; 128(3):646–652.e5. doi: 10.1016/j.jaci.2011.04.060. 22. Samuel B, Gordon J. A humanized gnotobiotic mouse model of host-archaeal-bacterial mutualism. Proc Natl Acad Sci U S A. 2006; 103(26):10011–10016. doi:10.1073/pnas.0602187103. 23. Якушин А.С., Украинцев С.Е., Денисов М.Ю. Кишечная микробиота: формирование в раннем возрасте, влияние на здоровье, способы коррекции // Вопросы современной педиатрии. — 2017. — Т. 16. — № 6. — С. 487–492. doi:10.15690/vsp.v16i6.1821. 24. Cabrera-Rubio R, Collado M, Laitinen K, et al. The human milk microbiome changes over lactation and is shaped by maternal weight and mode of delivery. Am J Clin Nutr. 2012;96(3):544–551. doi: 10.3945/ajcn.112.037382. 25. Ljungh A, Lan J, Yanagisawa N. Isolation, selection and characteristics of Lactobacillus paracasei subsp. paracasei F19. Microb Ecol Health Dis. 2002;14(Suppl. 3):S4–S6. doi: 10.1080/089106002760003279. 26. Кожевникова Е.Н., Елизова Л.И., Николаева С.В. Мик ро флора кишечника как орган иммунитета // Consilium Medicum. Педиатрия. (Прил.). — 2014. — № 3. — С. 15–19. 27. Литвинчук О.А., Плоскирева А.А., Усенко Д.В., Горелов А.В. Клинико-лабораторная эффективность кисломолочной смеси в лечении острых кишечных инфекций у детей и профилактике внутрибольничного инфицирования // Инфекционные болезни. — 2010. — Т. 8. — № 1. — С. 112–116. 28. Vinderola CG, Gueimonde M, Delgado T, et al. Characteristics of carbonated fermented milk and survival of probiotic bacteria. Int Dairy J. 2000;10(3):213–220. doi: 10.1016/s0958-6946(00)00031-5. 29. Kneifel W, Jaros D, Erhard F. Microflora and acidification properties of yogurt and yogurt-related products fermented with commercially available starter cultures. Int J Food Microbiol. 1993; 18(3):179–189. doi: 10.1016/0168-1605(93)90043-g.
30. Antunes AE, Cazetto TF, Abolini HM. Viability of probiotic microorganisms during storage, postacidification and sensory analysis of fatfree yogurts with added whey protein concentrate. Int J Dairy Technol. 2005;58(3):169–173. doi: 10.1111/j.1471-0307.2005.00203.x. 31. Gaudreau H, Champagne CP, Remondetto GE, et al. Effect of catechins on the growth of oxygen-sensitive probiotic bacteria. Food Res Int. 2013;53(2):751–757. doi: 10.1016/j.foodres.2012.10.014. 32. Демаков В.А., Максимова Ю.Г., Максимов А.Ю. Иммо би лизация клеток микроорганизмов: биотехнологические аспекты // Биотехнология. — 2008. — № 2. — С. 30–45. 33. Mortazavian A, Razavi SH, Ehsani MR, Sohrabvandi S. Principles and methods of microencapsulation of probiotic microorganisms. Iranian J Biotechn. 2007;5:3–22. 34. Islam MA, Yun CH, Choi YJ, Cho CS. Microencapsulation of live probiotic bacteria. J Microbiol Biotechnol. 2010;20(10): 1367–1377. doi: 10.4014/jmb.1003.03020. 35. Watkins C, Murphy K, Dempsey EM, et al. The viability of probiotics in water, breast milk, and infant formula. Eur J Pediatr. 2018;177(6):867–870. doi: 10.1007/s00431-018-3133-y. 36. Kukkonen K, Savilahti E, Haahtela T, et al. Probiotics and prebiotic galacto–oligosaccharides in the prevention of allergic disease. J Allergy Clin Immunol. 2007;119(1):192–198. doi: 10.1016/j.jaci.2006.09.009. 37. Balamurugan R, Janardhan HP, George S, et al. Bacterial succession in the colon during childhood and adolescence: molecular studies in a southern Indian village. Am J Clin Nutr. 2008; 88(6):1643–1647. doi: 10.3945/ajcn.2008.26511. 38. Ohlson K, Mahlapuu M, Svensson U. Probiotics to influence fat metabolism and obesity. 2007. WO Patent WO/2007/043,933. 39. Lara-Villoslada F, Olivares M, Sierra S, et al. Beneficial effects of probiotic bacteria isolated from breast milk. Br J Nutr. 2007; 98 Suppl 1:S96–100. doi: 10.1017/S0007114507832910. 40. Isolourie E, Sutas Y, Kankaanpaa P, et al. Probiotics: effects on immunity. Am J Clin Nutr. 2001;73 (Suppl 2):S444–S450. doi: 10.1093/ajcn/73.2.444s. 41. Weizman Z, Asli G, Alsheikh A. Effect of a probiotic infant formula on infections in child care centers: comparison of two probiotic agents. Pediatrics. 2005;115(1):5–9. doi: 10.1542/peds.2004-1815. 43. 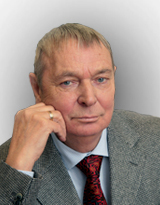 Филиппова Г.М., Иванов И.В., Ефименко О.Е, и др. Применение адаптированной кисломолочной смеси в комплексном лечении острых вирусно-бактериальных кишечных инфекций у детей // Вопросы детской диетологии. — 2011. — Т. 9. — № 1. — С. 52–56. 44. Lukasik J, Salminen S, Szajewska H. Rapid review shows that probiotics and fermented infant formulas do not cause D-lactic acidosis in healthy children. Acta Paediatr. 2018;107(8): 1322–1326. doi: 10.1111/apa.14338. 45. Нетребенко О.К. Об использовании кисломолочных смесей в питании детей первого года жизни — некоторые забытые аспекты // Педиатрия. — 2002. — Т. 81. — № 6. — С. 80–82. 46. Kildeberg P. Disturbances of hydrogen ion balance occurring in premature infants. II. Late metabilic acidosis. Acta Paediatr. 1964;53(6):517–526. doi: 10.1111/j.1651-2227.1964.tb07263.x. 47. Kalhoff H, Diekmann L, Hettrich B, et al. Modified cow’s milk formula with reduced renal acid load preventing incipient late metabolic acidosis in premature infants. J Pediatr Gastroenterol Nutr. 1997;25(1):46–50. doi: 10.1097/00005176-199707000-00007. 48. Ziesel H, Hockerts T, Luhrs RW, Vagt H. [Acid milk preparation and acidbase status in infants (Article in German).] Monatsschr Kinderheilkd. 1964;112:56–60. 49. Ofteringer K. [Studies on the influence of nutrition on acidbase metabolism in young infants. The behavior of pH, standard bicarbinate and pCO2 in blood and acid excretion in the urine of normal, premature infants during feeding with unacidified and lactic acid acidified cowmilk mixtures (Article in German).] Monatsschr Kinderheilkd. 1966;114(6):341–344.